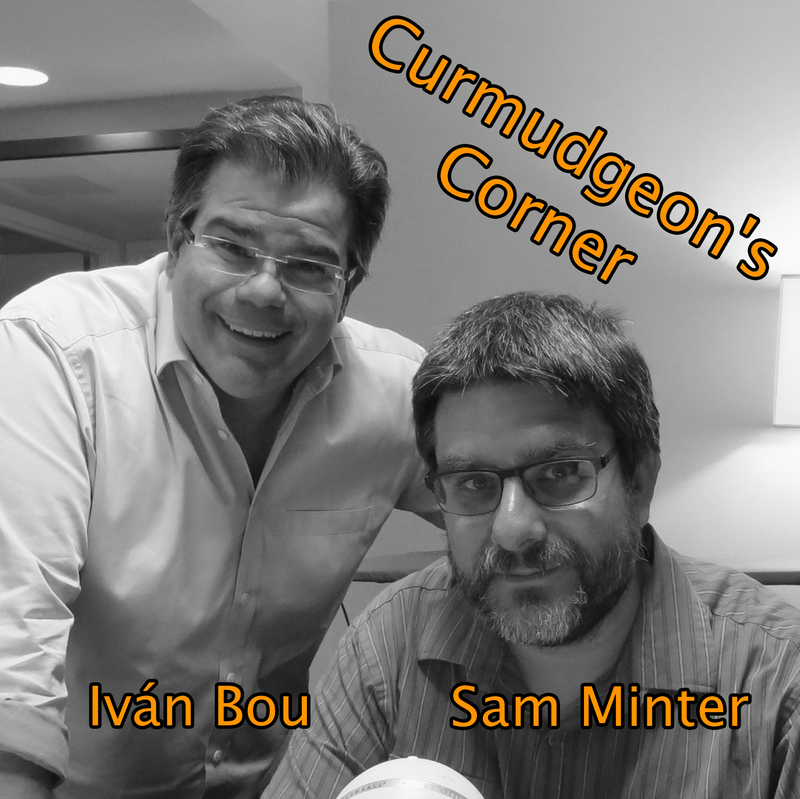 On Curmudgeon’s Corner this week we are in the home stretch to the election and that is the main topic. 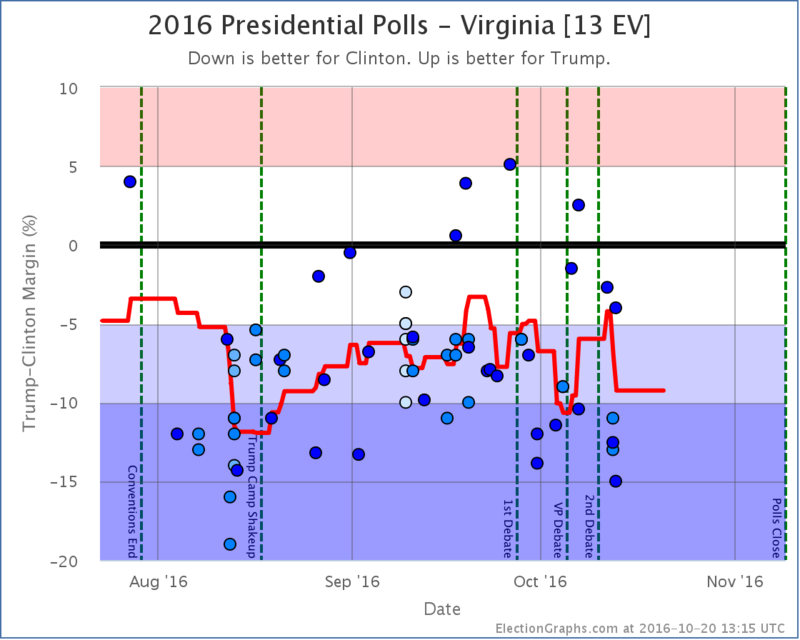 The third debate, the Al Smith dinner, updates on the polls, and more. Prior to that though, Sam and Ivan do a quick bit about Vegas, Reno, and gambling. 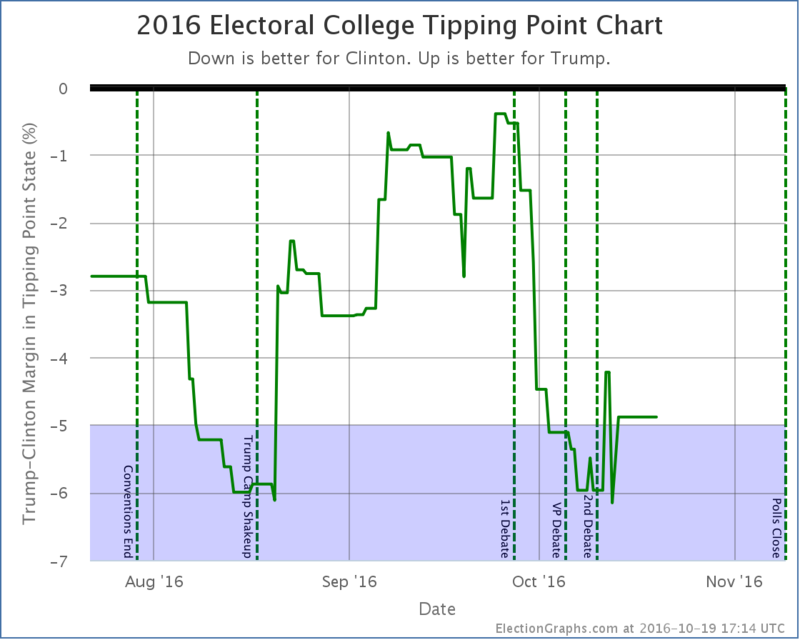 Electoral College: Trump bottoms out? States with new poll data added since the last update: Everywhere except Alaska, DC, Hawaii, Rhode Island, Vermont, Wyoming, and the Nebraska congressional districts. 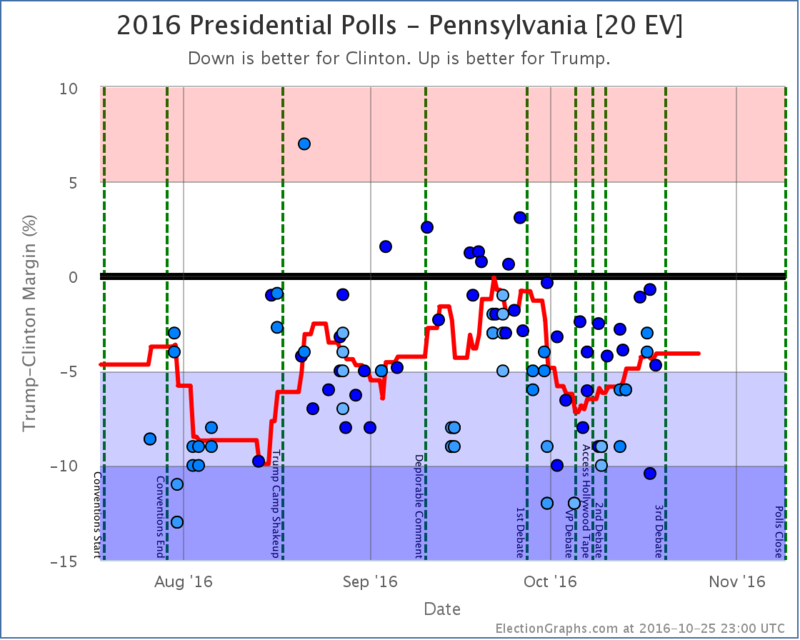 We now have plenty of polls that are after the Access Hollywood tape and after the 2nd debate, and even a few from after the various sexual assault allegations leveled against Donald Trump. The averages go back further, often covering 2-3 weeks, even for the close states. But we are getting to the point where we should be seeing impact from those events. 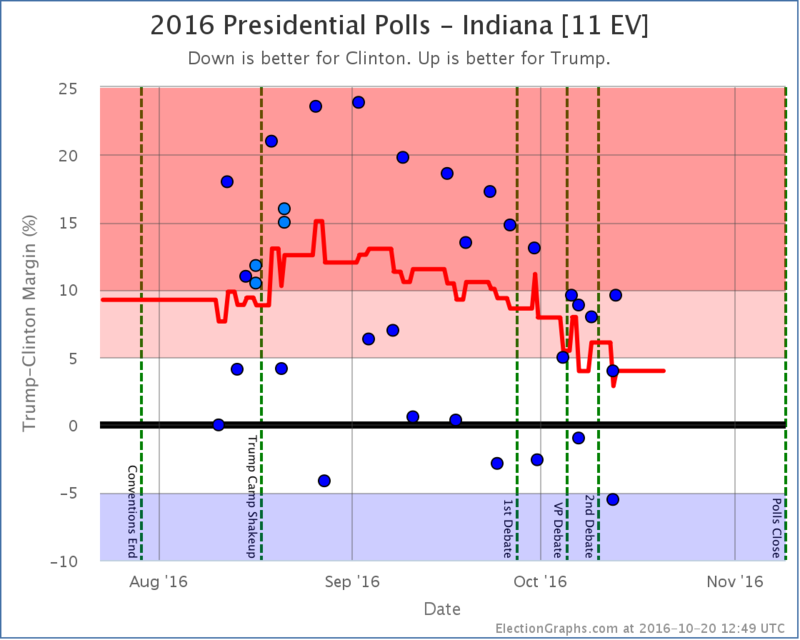 After the first debate, we did see a big drop. It continued through to release of the tape and the second debate. 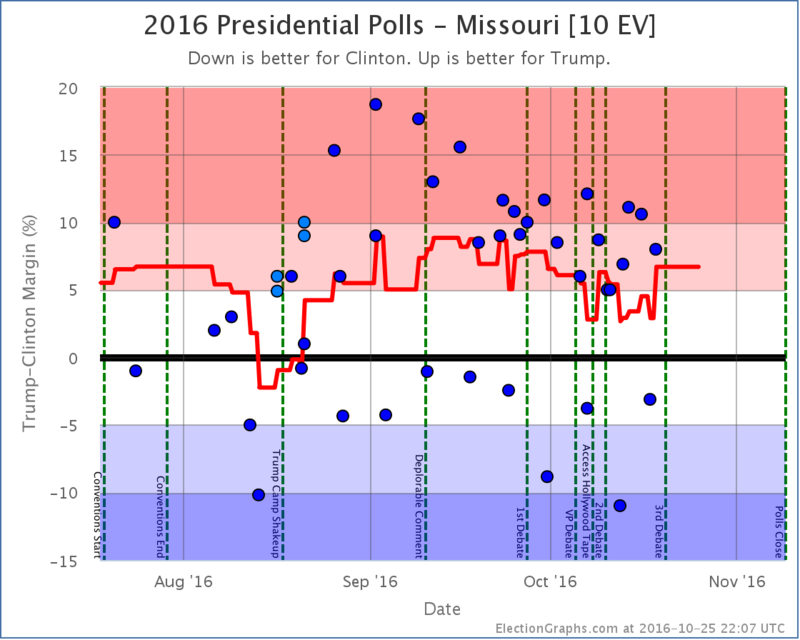 We are still getting polls covering the period immediately after that, so things may yet change… but so far there has not been a further drop since those events. 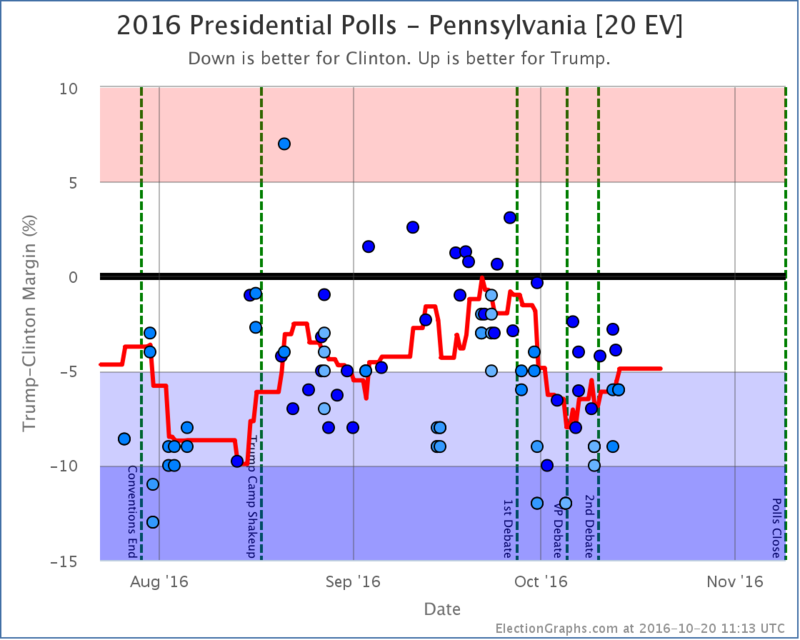 The tipping point moved from Clinton by 6.5% in PA to Clinton by 5.4% in VA.
Clinton’s best case declined from a 226 EV win to only a 204 EV win. 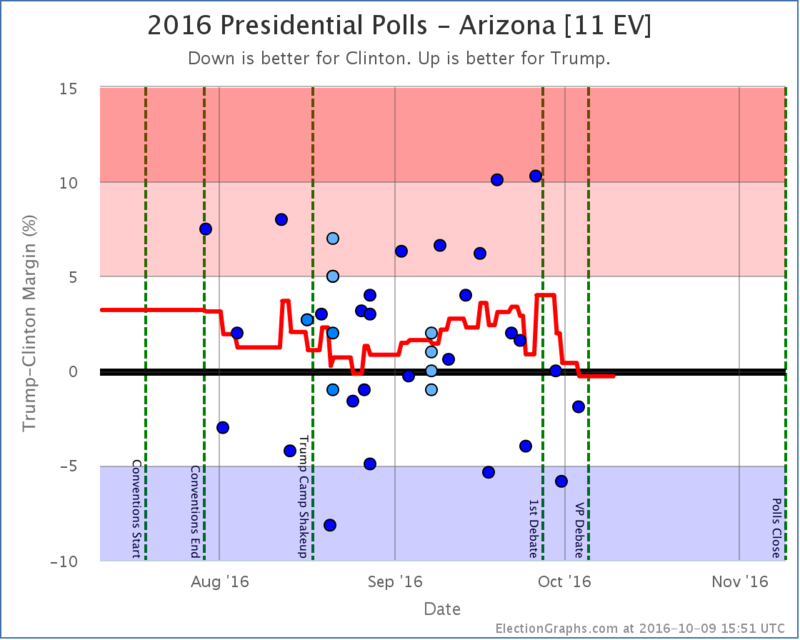 The expected case and Trump’s best case remained the same. 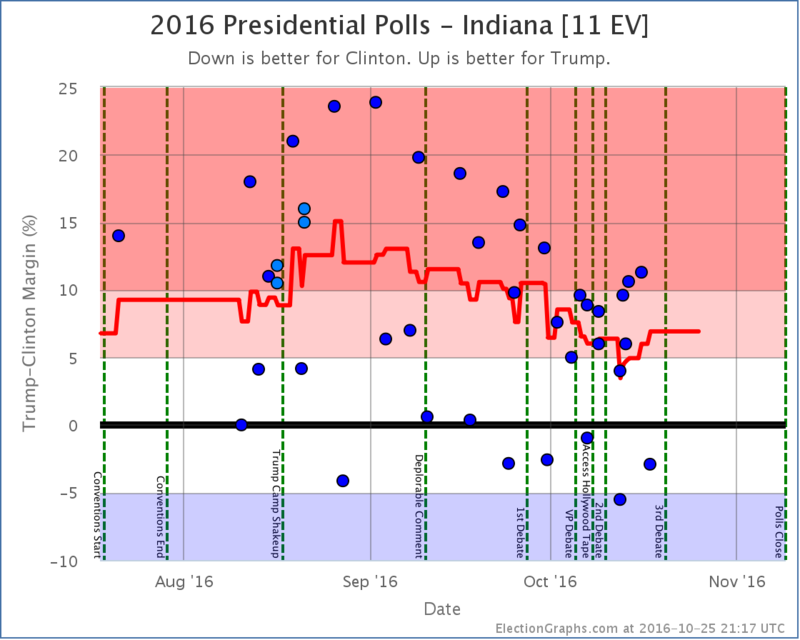 Both charts show a bit of improvement for Trump based on the last few days of polls. Now, it might be wise to be cautious here. 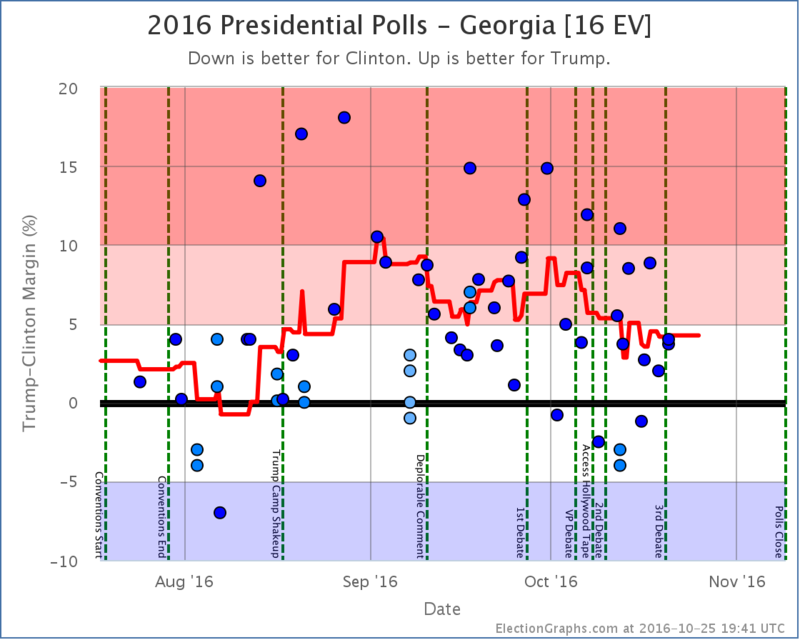 We are still going to get more polls covering this period. So these lines will move about some more. 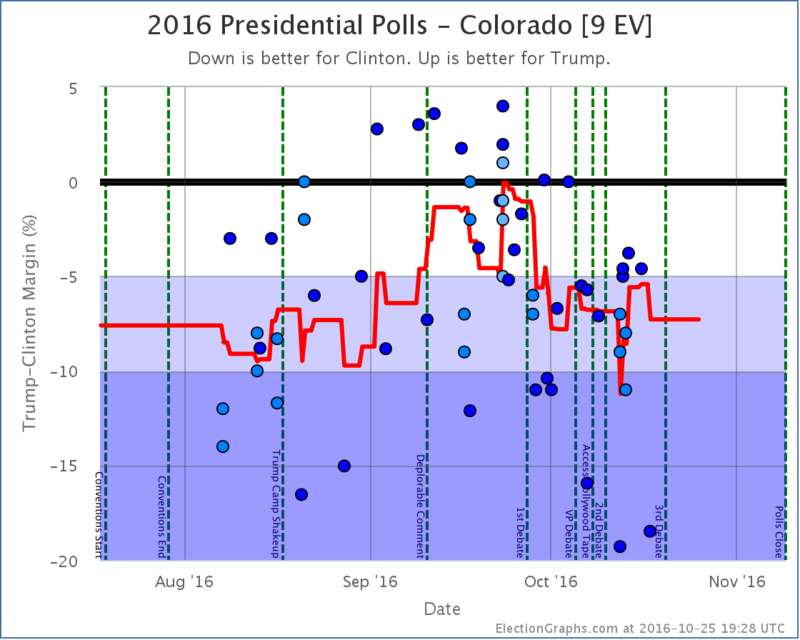 But it is also very possible that Trump hit his floor, and we’re now bouncing back a bit from that. The public is very polarized. There is a percentage of Americans who will vote Democrat no matter what, and another percentage who will vote Republican no matter what. We may have seen both extremes of the how far things can change by those in the middle sloshing back and forth. 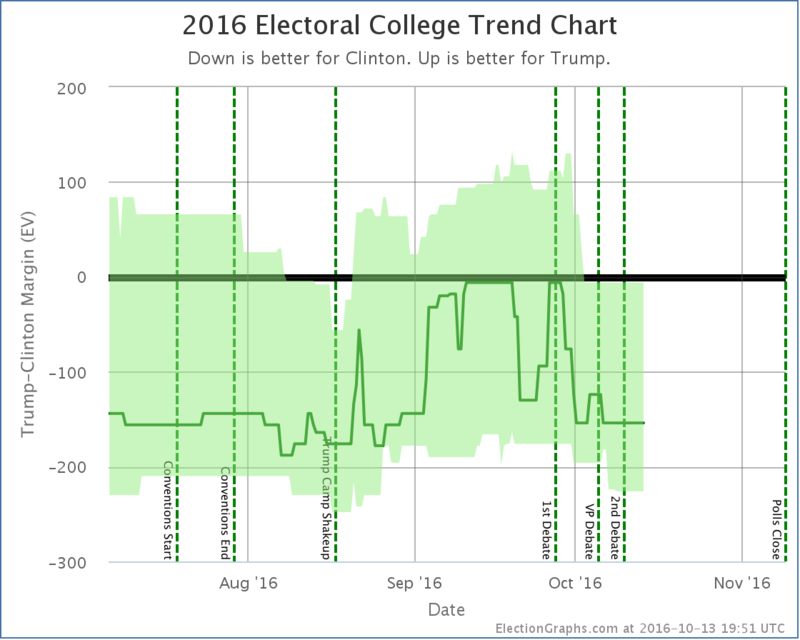 If so, the extremes of this race go from a nearly tied race at Trump’s ceiling, to about a 188 electoral vote win for Clinton at her ceiling. Those are “expected case” numbers. 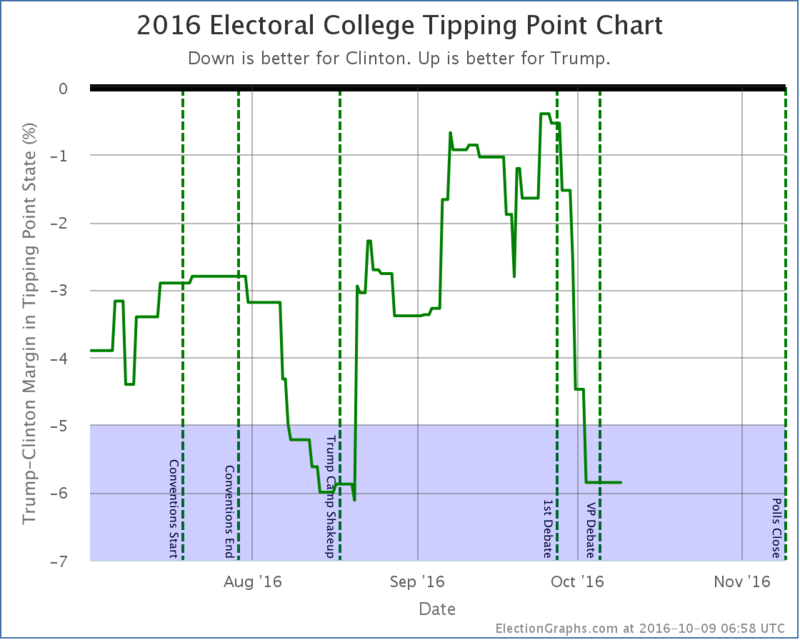 In terms of the tipping point that translates into a Clinton lead of between approximately 0.5% and 6%. 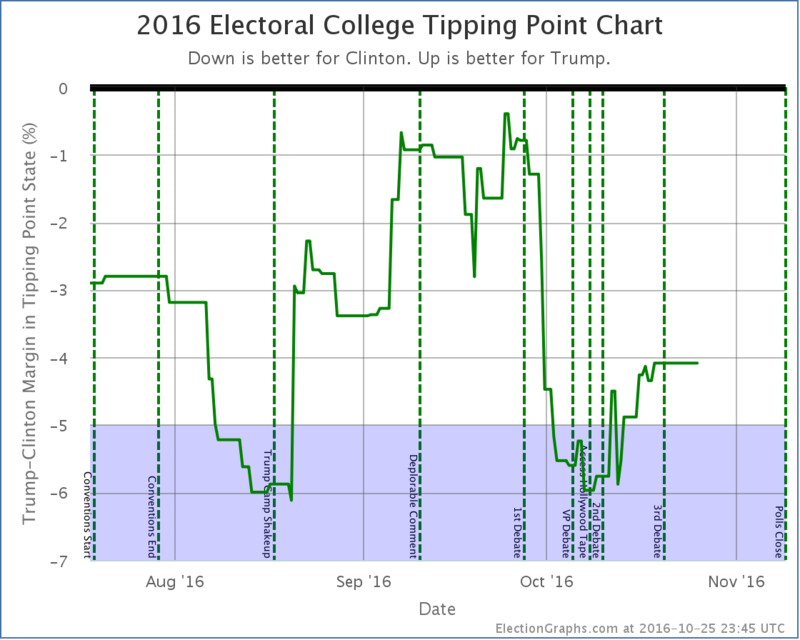 Given recent news cycles and where things stand now, it currently seems as if a break through Trump’s floor is more likely than through his ceiling. As has been pointed out, a comeback from this far behind with this little time left would be unprecedented. 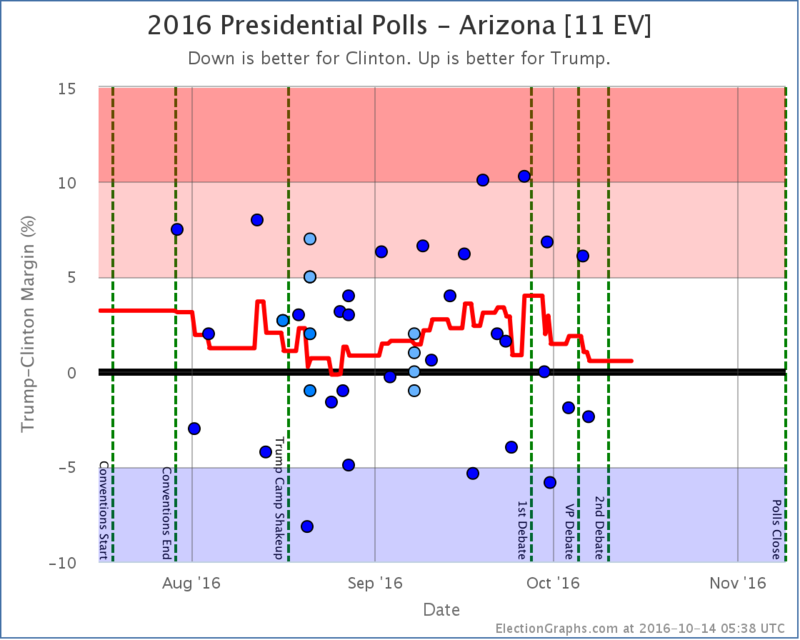 But while it is possible that events may cause us to break out of that range, it seems very likely that when the votes come in on November 8th, we’ll find ourselves somewhere between those bounds. But we shall see soon enough… 22.1 days left to go! 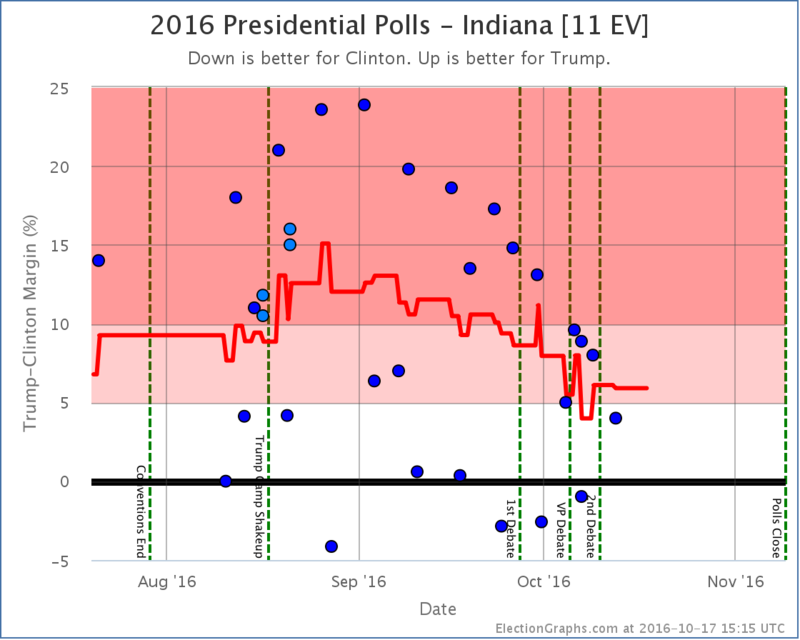 The general trend in Indiana has been a steadily weakening lead for Trump. 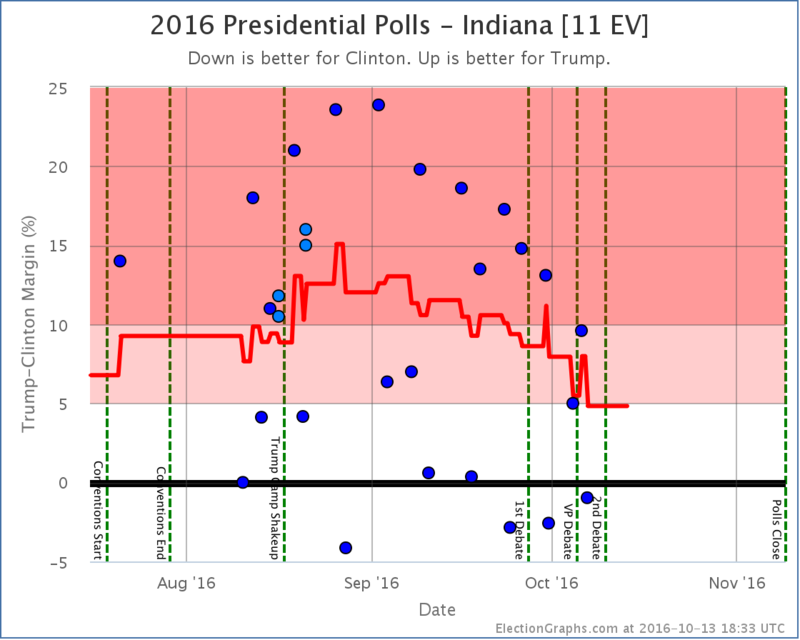 But with the latest polls, the average pops up to a 5.9% Trump lead, so for now, Indiana is no longer in the “could go either way” category. In the last week or two McMullin has spiked in Utah. 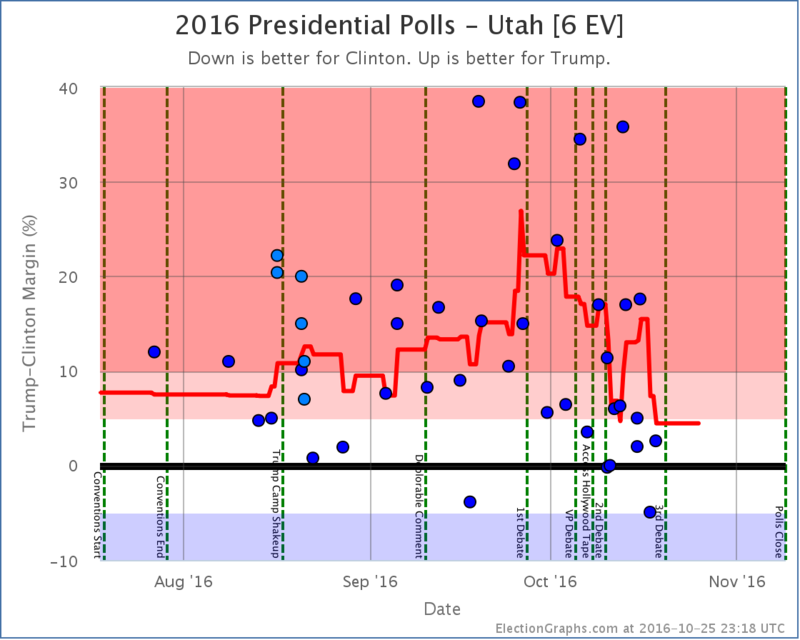 Some individual polls show him within striking range of winning Utah. 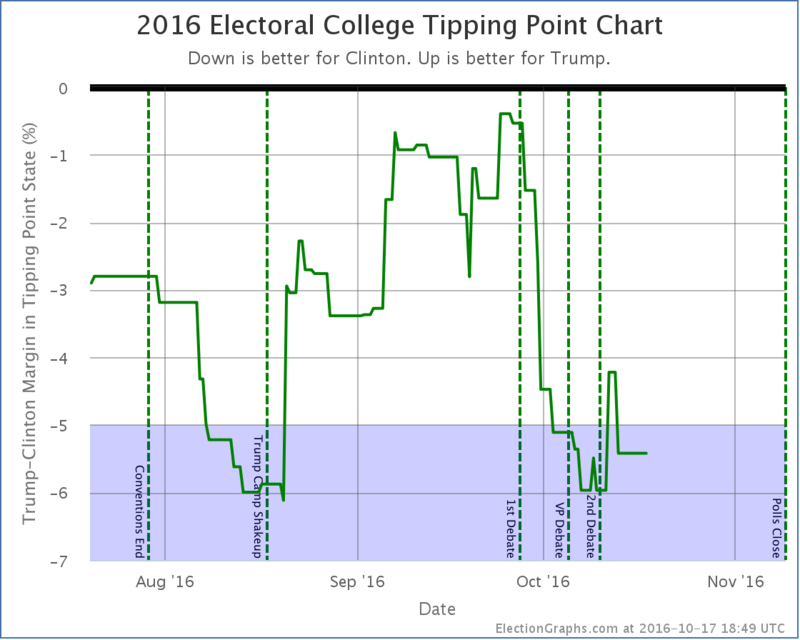 All of the current Election Graphs metrics and charts operate under the assumption that no third party has a realistic shot at winning electoral votes. 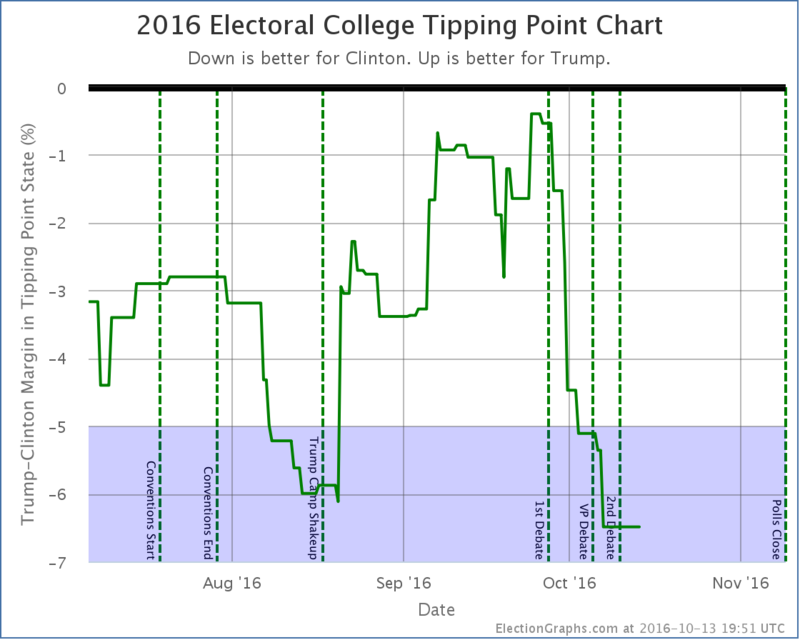 I have had the outline of a contingency plan on how to modify the site to accommodate 3rd parties that might win electoral votes, but activating it would take quite a lot of work. 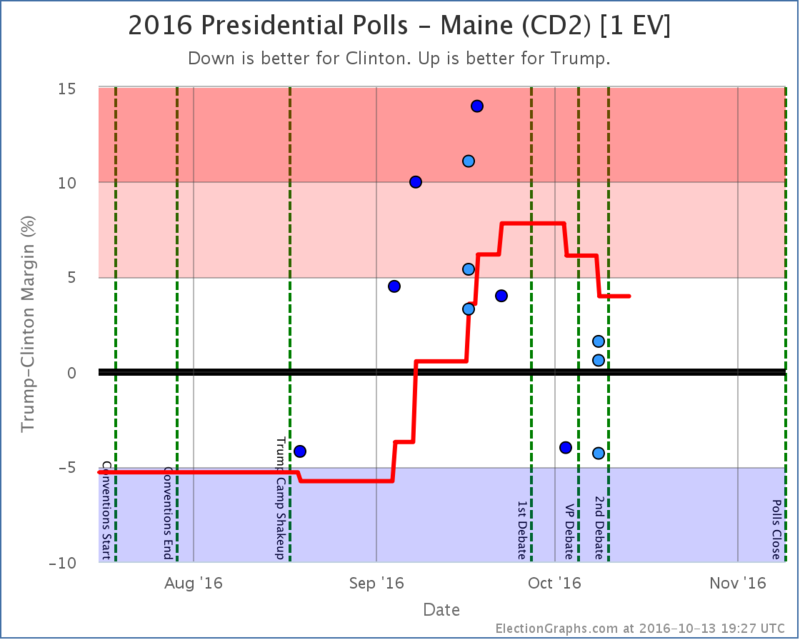 If a 3rd candidate had gotten to that position a month or two ago, the site would definitely have been revamped to adjust for that possibility. As it is, there simply may not be time to do that before election day. Right now the Real Clear Politics average in Utah, which includes McMullin, stands at Trump 31.8%, Clinton 25.5%, McMullin 22.8%, Johnson 8.8%, Stein 1.0%. 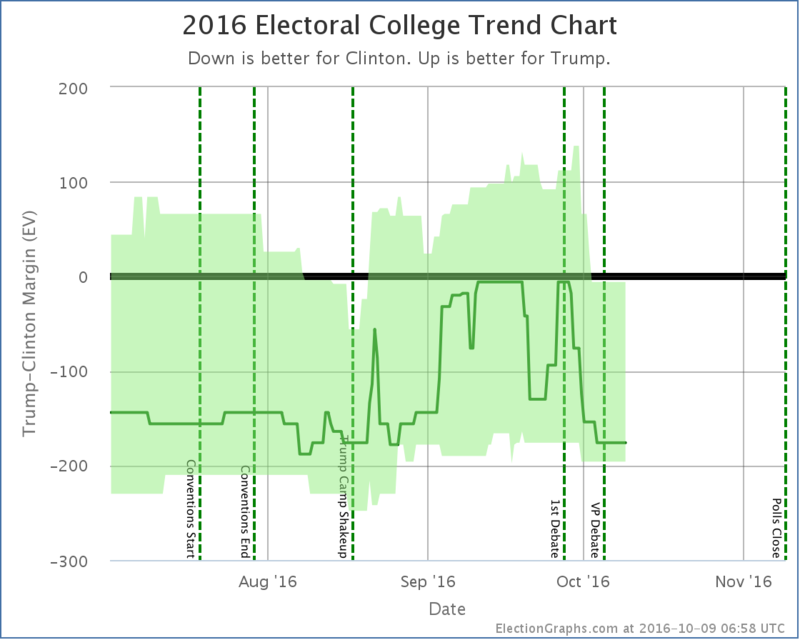 (The Election Graphs Utah average currently stands at Trump 39.0%, Clinton 26.8%, but doesn’t yet include at least one poll that came out as this update was being finalized.) 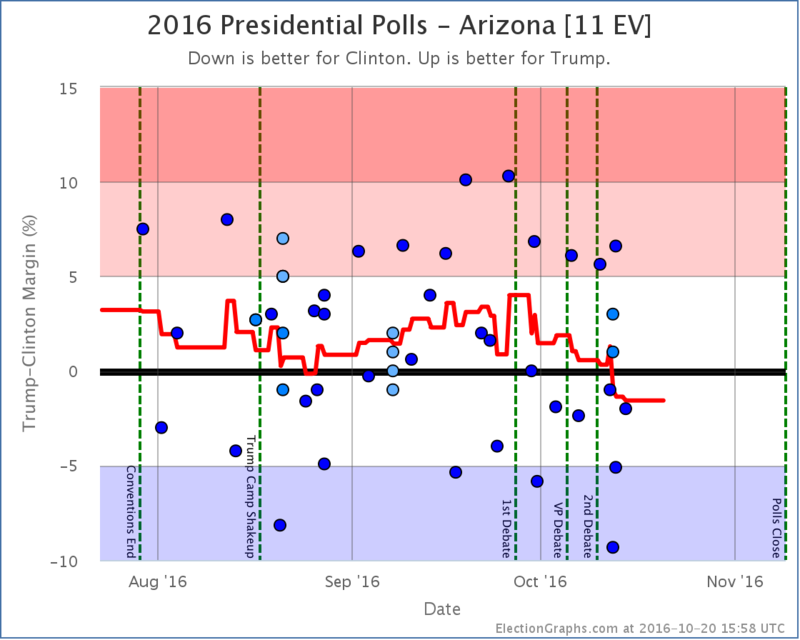 If and when the RCP average shows McMullin within 5% of the lead in the state, I will at the very least put notes at appropriate places on the site noting he has the possibility of winning 6 electoral votes. I will consider more substantial changes only if time allows. Edit 22:51 UTC to add McMullin note. This week on Curmudgeon’s Corner we’re in the home stretch to the election, so that pretty much is the whole show. How can it not be? The second debate. Aftermath from the Trump tapes. Sexual assault allegations. GOP civil war. And yes, Wikileaks too. What a week! 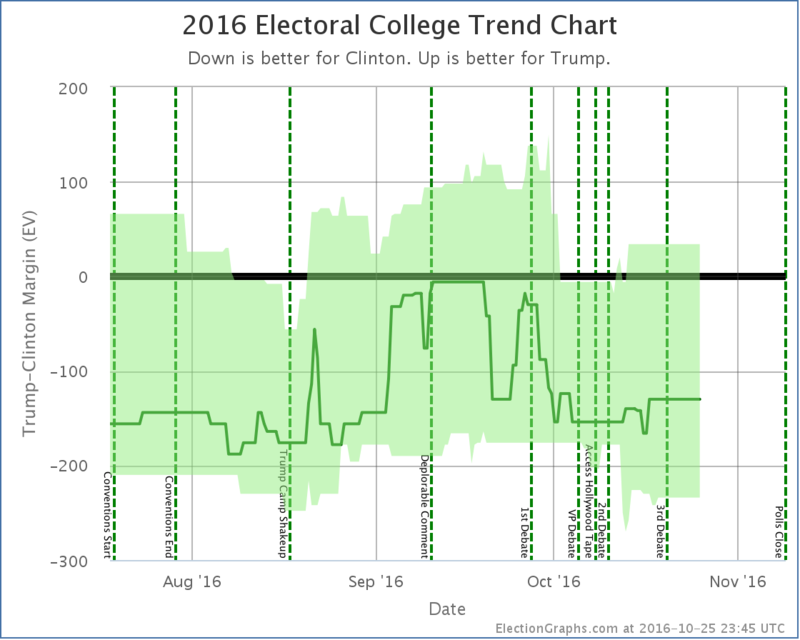 Electoral College: Alaska in play? 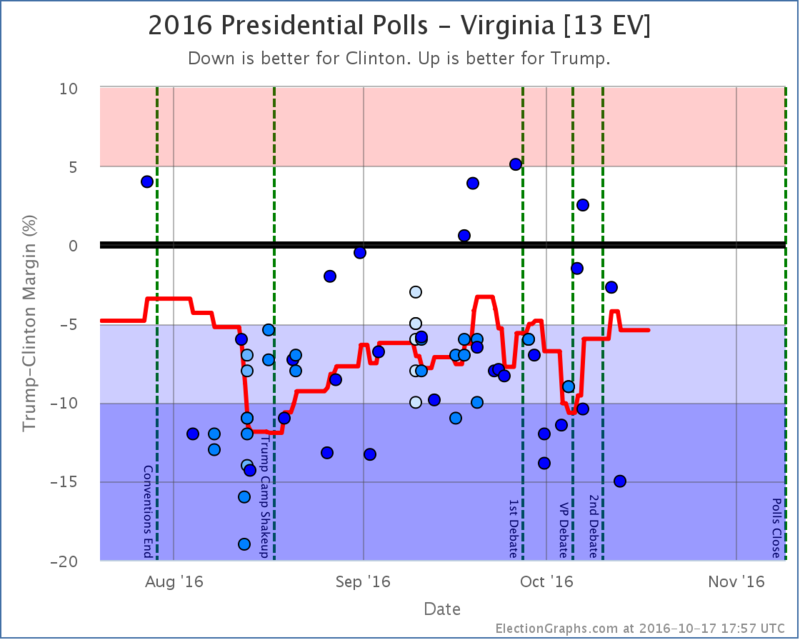 Only one change this time, but it it continues to be movement toward Clinton. 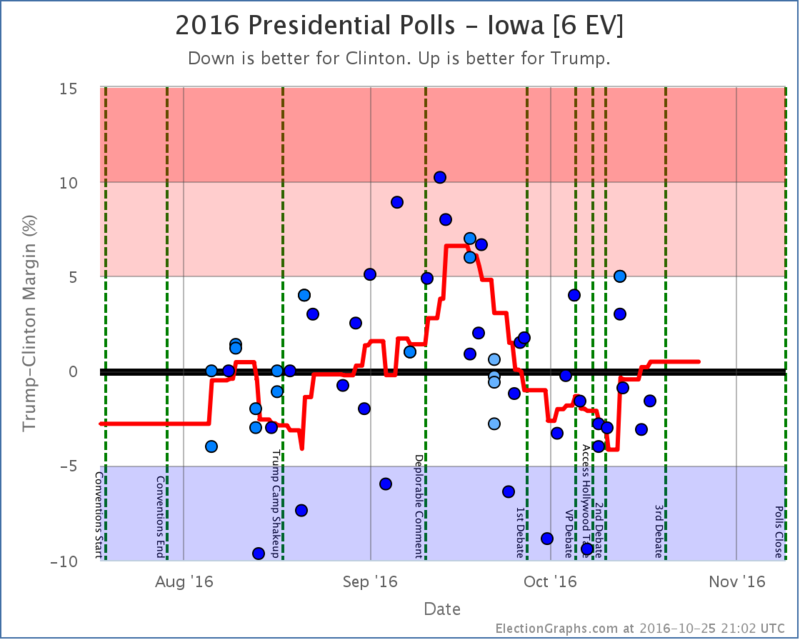 The most recent polls included here now ended Friday, but it is unclear how much, if any, they were impacted by the 2005 Trump tape, since that happened later in the day on Friday. 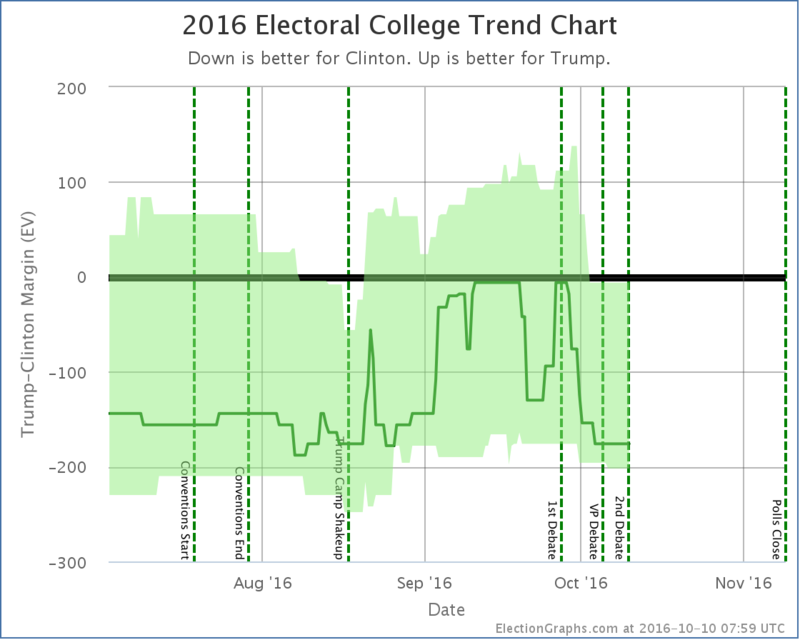 Clinton’s best case has been improving slowly since mid-September. 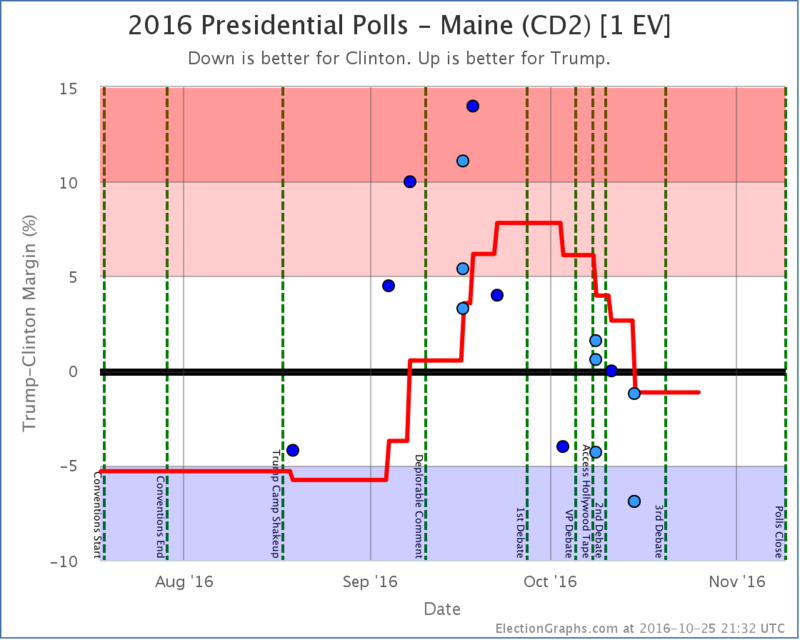 She has a bit to go before she matches her peak in August, but if the current trends continue, we may see that again within a week or so as the impacts from the 2005 Trump tape and the second debate start to be visible in the state polls. 9.3 days until the next debate. 29.3 days until we start getting actual election results. We are in the final stretch. 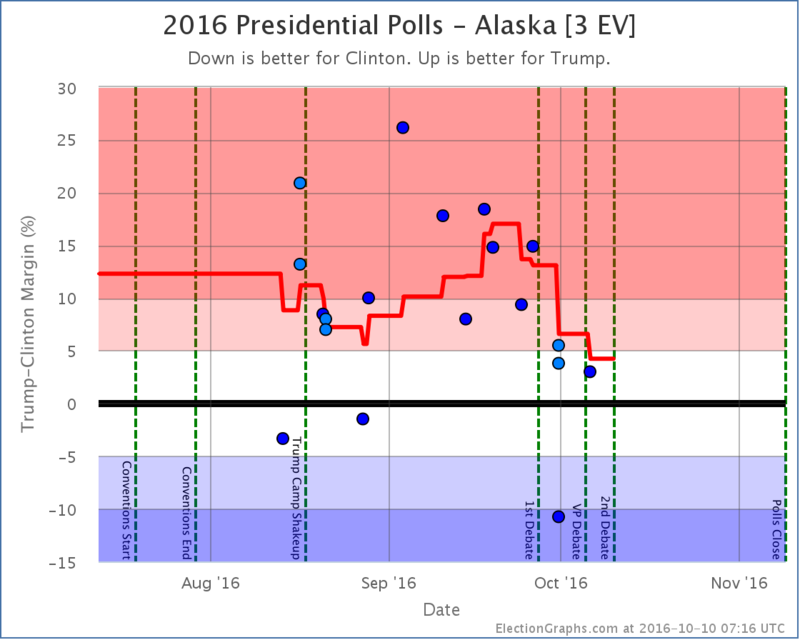 Alaska has been moving away from Trump for the last couple of weeks. 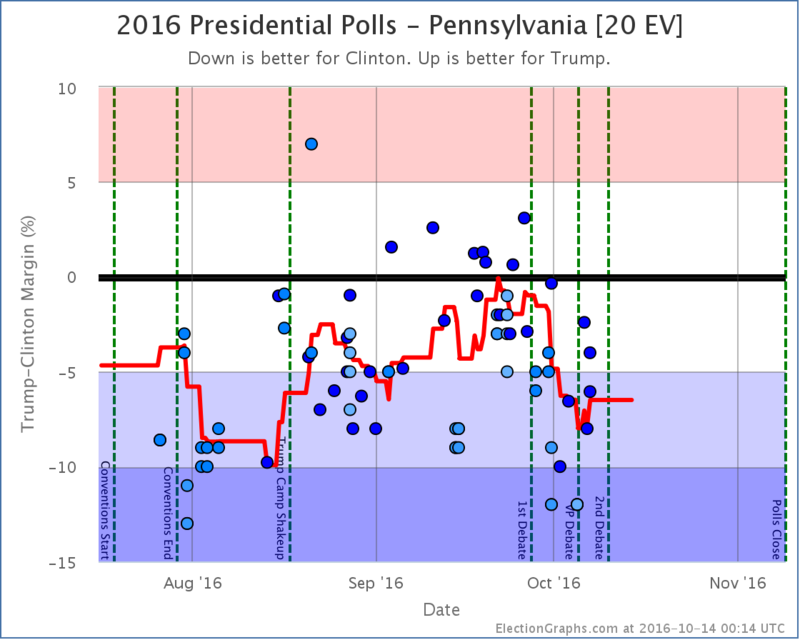 With the latest additions, Trump is now up by only 4.2%. So it moves into the “Weak Trump” category. 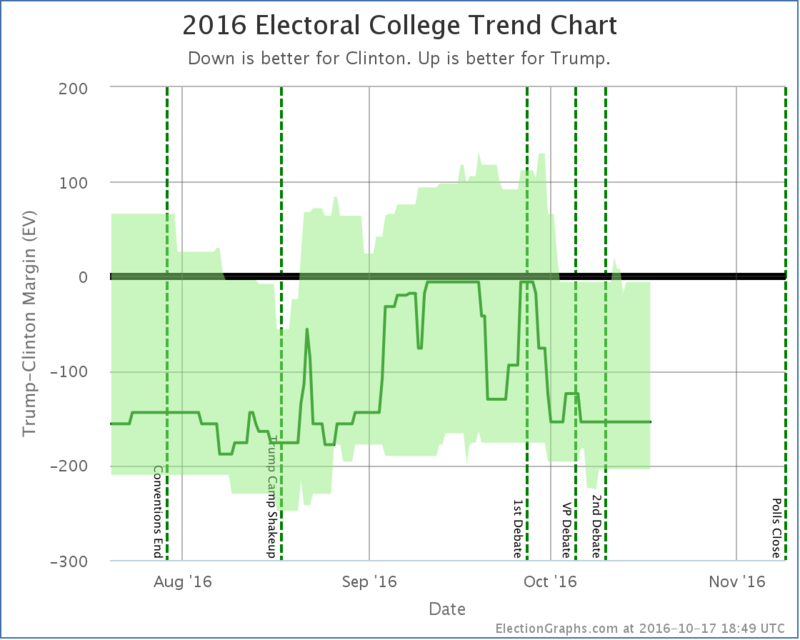 Now, big caveat here… This is heavily influenced by a Google poll showing Clinton up by 10.8%. 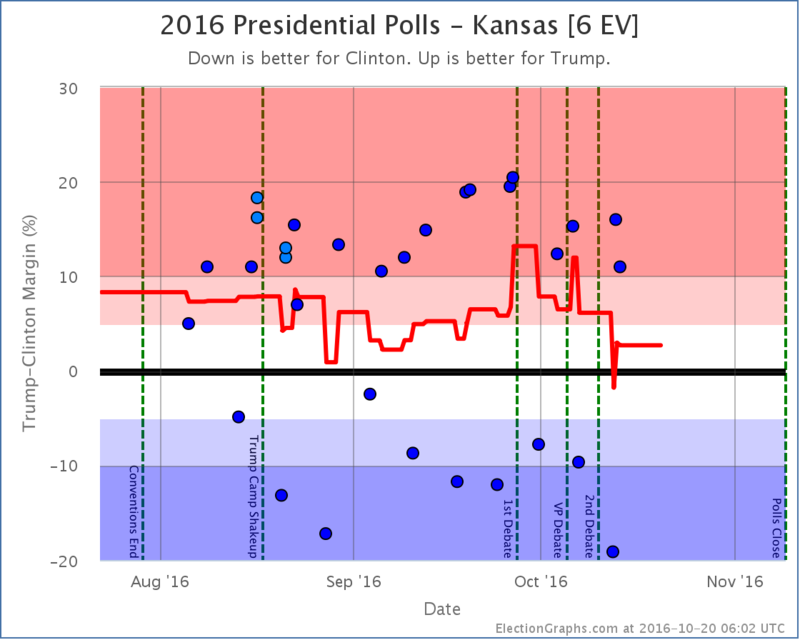 Google has had strange outliers in many states this cycle, and this may well be one of them. 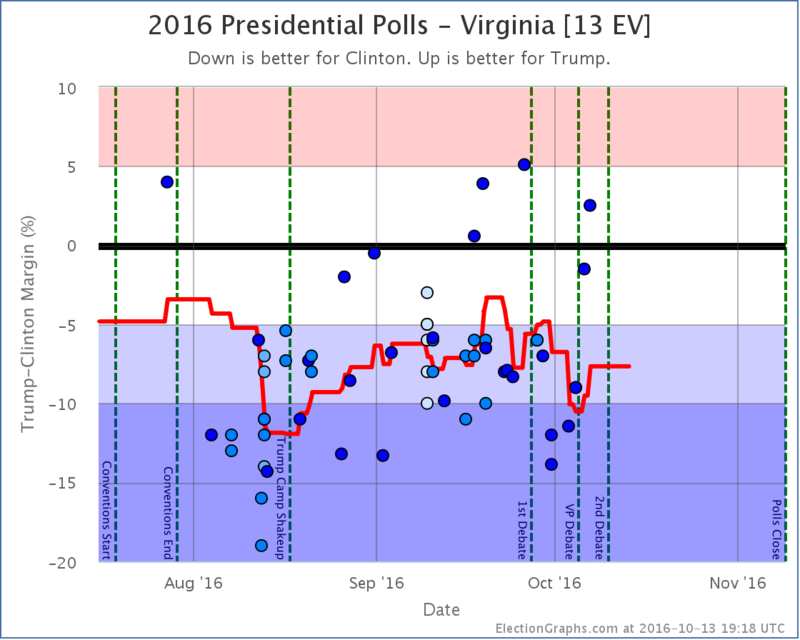 So it is quite possible this won’t last as additional new polls come in. 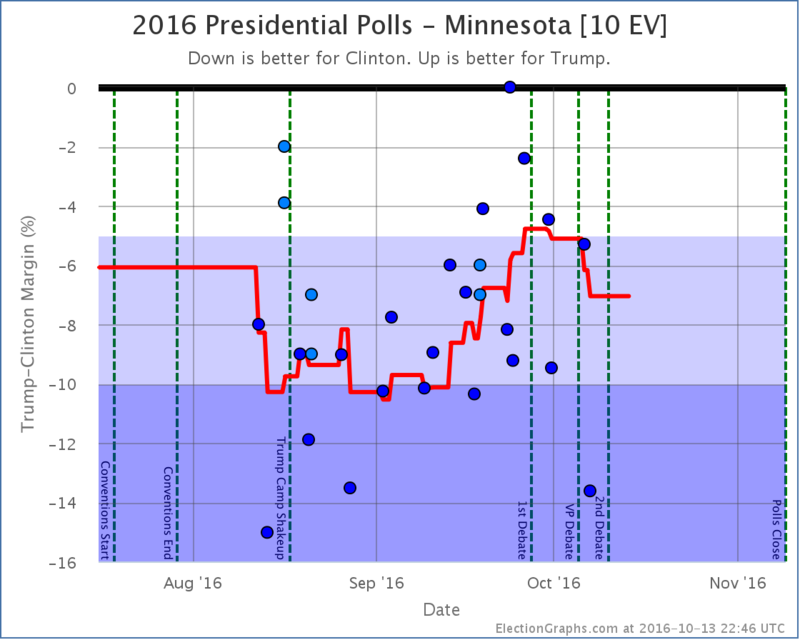 Without Google, Trump’s lead would still be at 9.1%. 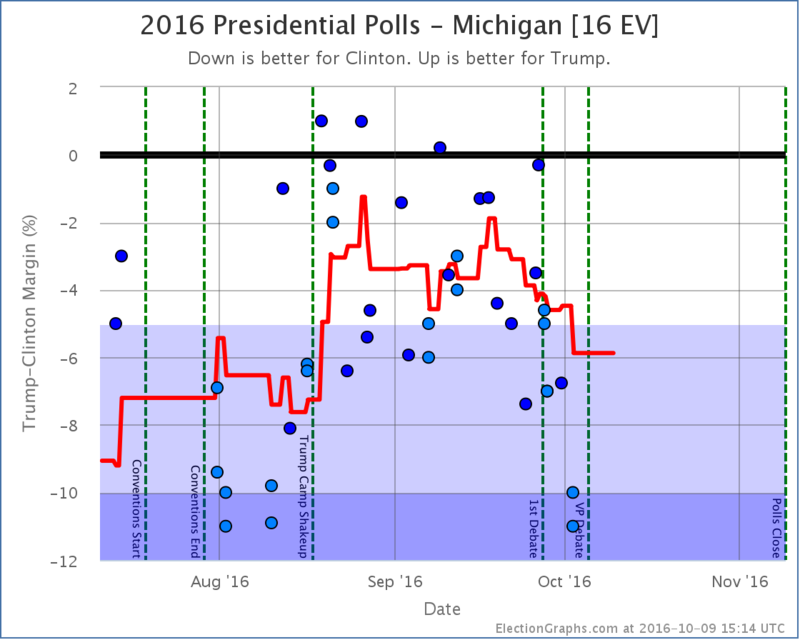 Having said that, there have been two non-Google polls since the first debate. 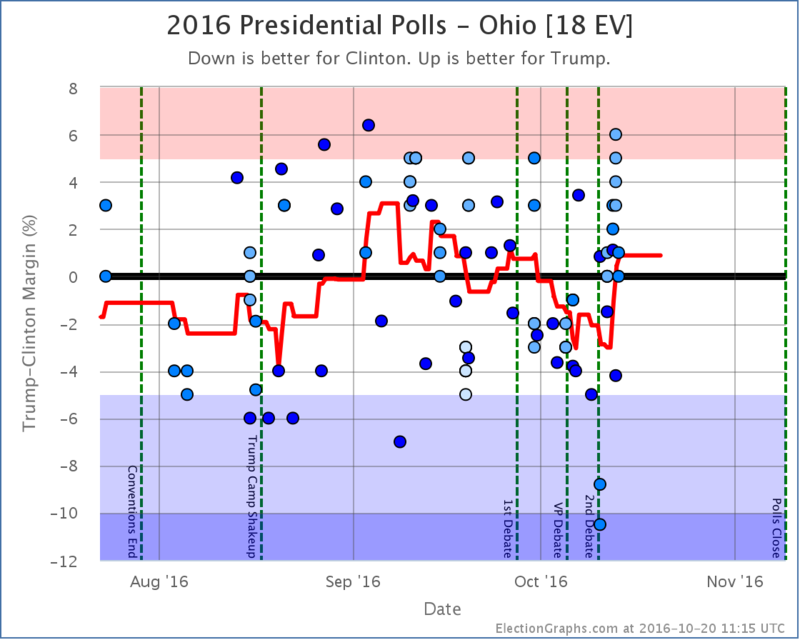 If you only average those, you have a 3.8% Trump lead. 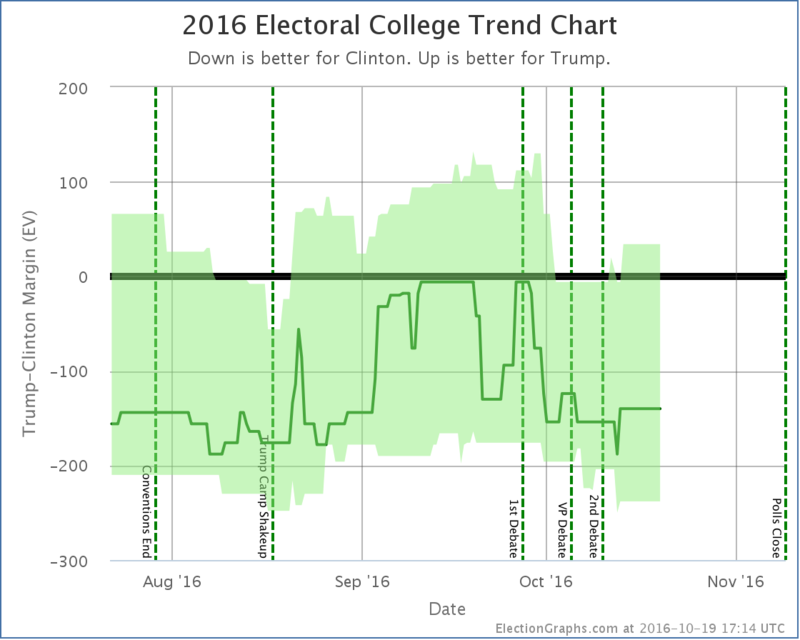 Still in “Weak Trump” territory. So saying Alaska is looking much closer than it did is probably still quite fair. 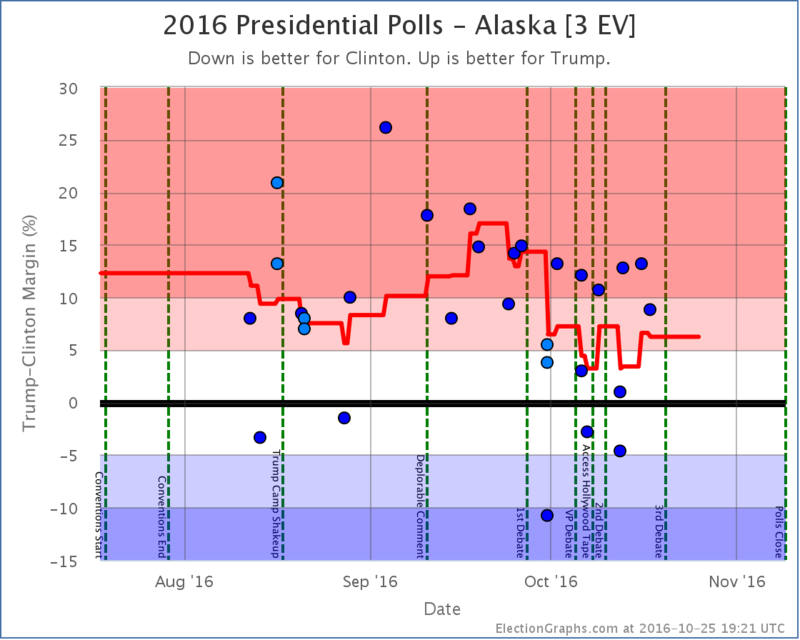 In any case, we have a policy of including just about everything, so the Google polls count, and so Alaska is at Trump +4.2% now, which is a narrow enough lead that the state is now a possible Clinton pick up.